Are Christian festivals the new denominations? I wondered if this was true. Are festivals the new denominations? Traditionally, denominations have been the place within which Christians have found an identity, a sense of shared belief and a theological and liturgical framework which best expresses their faith. Spiritually, it has been their home. Denominations are so incredibly diverse. The C of E has within its borders a hugely divergent range of traditions from the most charismatic hand-wavers to incense-swinging catholics. And thats just worship styles, the theology ranges from agnostic-liberal to ultra-conservative. No wonder they disagree about so much. But this diversity means that its easy for members to be worn out (or embarrassed) by the in-fighting and long to be part of a group which expresses the distinctives they find important (‘people like us’). Committed Christians care less about labels and more about mission. The overall decline of church-going means we cannot afford the divisions between the denominations. In many areas the ‘Churches Together’ groups have been transformed from gatherings where clergy chat and plan an annual joint service, into dynamic networks like Transform Newham and Love Streatham who focus on mission which impacts the community. Community projects such as Street Pastors and Foodbanks embody this ‘new ecumenism’. Denominations do not make sense to young people. I was talking with a student recently and I asked if their university had a ‘Meth Soc’ (Methodist Society) or an ‘Ang Soc’ (Anglican Society). They just looked at me blankly as if I was talking another language. To be fair, these groups were in decline 20 years ago when I was a student but now they seem to have sunk without a trace. Some other students I was talking to, despite being highly committed Christians, didn’t even know what denomination (if any) their church belonged to. The landscape has shifted – and the old differences which divided Christians are not the same ones which matter now. People are proud of their association with festivals. You can see this with how keen people are to tell you how ‘amazing’ New Wine was, how ‘utterly incredible’ Soul Survivor was or ‘unbelievably muddy’ Greenbelt was (its a festival badge of honour). The vibrancy and sense of identity which people gain from their participation at such events cannot be hidden. 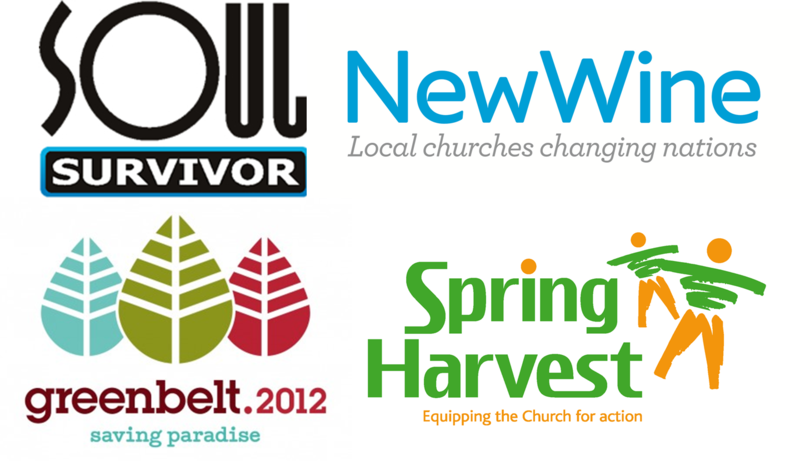 New Wine, Soul Survivor, Greenbelt and Spring Harvest are now much more than annual festivals. They employ permanent staff and have spawned networks and host many events and gatherings throughout the year. Interestingly, many congregations use their association with them as a way of describing the flavour, emphasis and identity of their church. So, its time for two cheeky R&R polls! Firstly to answer the blog title question, and secondly to find out what festival you would pick if you had a free pass. Why not leave a comment to explain why you voted as you did? Let’s keep them positive though – explain why one is your favourite, not why you can’t stand the others! I’m probable more radical – and for want of “name” – a liberationist! I’m involved in my community, Churches Together, Young Folk, supporting folk with mental health issues! Greenbelt is only event that scratches where I itch apart from Urban Theology Unit in Sheffield & my ol man’s teaching/preaching! Haven’t got time for the rest!!! Over years – a lot of ’em – brethren (small b!) Baptist, Charismatic – “come with us we will do you good” & a lot of us did, but it did us no good at all! – currently in Baptist Church with wonderful folk who just support my husband & me as we attempt to be ourselves & fully immersed in our community! Baptist Union offers nothing! Maybe if they got back to radical roots might be different! At moment: too judgemental & out of touch! Bit like a club for the In Crowd who make decisions for all BU community without any discussion! I expect all denominations are same!!! Great post, Jon! I think you’re right. Or perhaps, to take the idea further, there are new tribes which are more influential than denominations; and a main way that those tribes manifest themselves is in festivals. I think they display other marks of tribal affiliation too – the books they read, the speakers they invite, the worship songs they sing. It means that the church is inherently becoming more fragmented; less traditionally institutional; less bounded. All good things – but all a challenge for agencies seeking to work alongside the church! Interesting blog – as always. There are quite a number of other festivals/conferences eg Keswick, Word Alive, Reform, Evangelical Ministry Assembly plus “House Church” ones – which, I think, give identity. I wonder whether your enquiry needs to offer opportunity to add another . . . .? Good points – and its good to have these brought up in the comments as its a bit tricky with the polls. Is Keswick the largest of the ones I missed off the poll? Really interesting Blog Jon! I am a Baptist Minister in London working my socks off to try and get a church working well in the current climate – I also try and work with our local Baptist Churches to get us thinking about how to be church at this time in our city. 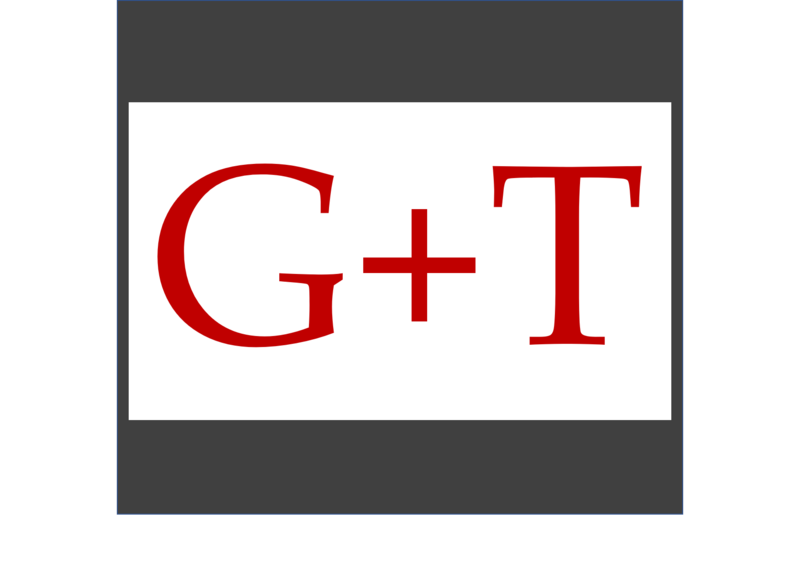 For some time I noticed that many of my Baptist Minister friends associate more with festivals that with the BUGB – so your Blog resonates. I think you are right – church leaders go where they get fed! However I do hope the Baptist Union wake up and smell the coffee! Really thoughtful post, Jon. Great idea. I guess I love all those festivals though (led on SoulSurvivor, took the family to NewWine, always watch Glasto on the telly, and would have loved to have made Greenbelt). So, as with your own cross-denominational experience, I hope that the walls aren’t built too high, and the labels not too off-putting, that all feel welcome and able to encounter God in any of them. Hmmmmmmm – definitely a good post to get people thinking! However I would be worried if people started to see Festivals as a denomination – or even their church. Festivals are there to encourage, inspire, recharge, challenge – but are not set up properly to support people year round. I also think that like Dan says above, let’s make sure walls are built low – surely the best thing is for people to go to a mixture of events. I identify strongly with the Greenbelt approach but know I could get lots from Spring Harvest too. AND FINALLY I have to pick you up on saying that because people work year round that means festivals are growing into denominations. Festivals like Greenbelt and Spring Harvest hosting tens of thousands of people have to have a year round staff team because of the nature of running an event that big. That’s not new – nor is running the odd Greenbelt-flavoured event year round. 🙂 Keep up the provoking articles! Good points Jo and it’s great to have comments from the heart of one of the relevant festivals. The growth of staff really just illustrates the significance of the festivals and the infrastructure they require to operate. Thanks for the encouragement! A little bit proud to see Greenbelt leading the free ticket poll though! Very interesting post. In many ways I would say that yes they serve the function that a mainstream denominations annual gathering initialled served. For me a greater challenge isn’t to accept that denominations have failed but to look at things like Baptist General Assembly, Methodist Conference, Church of England Synod less as something authoritarian / disciple and policy focussed but also “are there to encourage, inspire, recharge, challenge”. The strength of a gathering is the people – regardless of its label. I voted for Green Belt here, but HTB’s Focus (if that counts) would be my choice for a summer in the UK. Very stimulating as usual. My problem in addressing the premise of your question is that I would not thank you for a ticket to any of the festivals named or any missed from your list. This is not a criticism of festivals but simply because I am not and never have been attracted to festivals – whether Christian or secular. I do not, however, object to them and would encourage others to participate – they just don’t appeal to me. My concern though is that I can see a time when the rise and recognition of such ‘denominations’ in popular culture may lead to one or some of them becoming the voice that speaks for all Christians in the public arena. This may seem like progress to some but I think I may feel as disenfranchised by this as I often do when I hear mainstream Christian leaders speaking on behalf of the Church who are evidently out of touch with reality. I imagine their are many committed Christians who do and would feel the same. With the welcome breakdown in denominational barriers has come the proliferation of Christian consumerism, independent churches, networks and festivals. I believe it is vital to the spiritual health of our nation that we all commit ourselves to finding ways of working together to ensure the latter do not become the barriers that are erected in their stead. This article really got me thinking and follows on from a conversation I had with some friends just a few weeks ago. My husband, Alex, has been a Christian the last 10 years and has attended an Anglican C of E church and when asked the question what denomination he is for the first time, he said something like…does that matter, I believe in Jesus and that He is the…….. However if someone asked me, without hesitation I’d previously say anglican ( its been joked before that if you cut me inhalf the word anglican would apear!). I think our festivals of choice (sounds like I’m talking about drugs) express more clearly, to those who know about them, how my family chose to live out our Faith day to day. We like different festivals for different reasons, new wine is a church family holiday where we have fellowship with people we love but don’t get to have quality time with all year round and this is with a backbone of collective worship, workshops, prayer, talks and inspiring children’s work…the latter being the thing that appeals most with a young family as that along with church teaching and parents did so much for my faith growing up. Green Belt is our add on festival that if we can afford it we’ll go, we don’t go with a big church groups and tend to do our own thing. We like the variety and definetly has a more secular festival feel. I value the accountability in the Anglican/C of E family and do count myself as such but struggle with being labeled as one because I want an opportunity to explain what I disagree with (e.g the public take on homosexuality etc). When someone does ask me the question, I know tend to use Alex’s answer. My comment turned into an essay, sorry. Thanks Becky – you sum up a lot of where I am actually! In many ways the C of E is my home – but due to various reasons it’s right for us to be at a Baptist Church and as a family we have been so blessed by it. I get excited when I see the different traditions work together and placing a commitment to following Jesus higher than their own way of doing things. Hi Kate – yes GB definitely employ a full time staff team – my friend Jo who commented earlier is the Development Manager and the GB12 brochure lists 11 people as staff – not sure how many are permanent or full time. Of course you’re right they depend on a massive army of volunteers but I would guess that that is true of all the festivals. Great post, Jon, keep em coming! Just a thought. I think you have a good point about young people (and new Christians) not being so denomination-bound as before. Hi Kev, yes both are good points – and its important that people ministering in contexts like yours remind us of this reality. Interesting food for thought. As someone packing to go to Momentum (Soul Survivors over 20’s festival) as I type its definitely going to be sticking on my mind these next few days. I’d like to really know some of the differences more, in order to assert whether its fair to consider themselves as dividing as denominations have been. I would pick Soul Survivor because that’s where I found my faith, where I’ve been healed of my greatest burdens, where I know the ration of worship to teaching I’ll get and have built up trust with those leading it, through attending festivals, events, I have family that are part of their congregation on a Sunday, I’m going abroad on mission with them, I’ve heard them talk on a number of topic both at the festivals and listening to them online, I would be weary going to another festival because I wouldn’t have the same trust in the leadership. But I would hate to think that would divide me from those who attend other festivals. I wonder how much difference there really is. Anyway, thankyou for giving me this to think on. God Bless.